Imagine! You in flapper attire, sipping cocktails as you view a panoramic sunset over Manhattan. That’s no fantasy. That’s 21st century Governors Island—New York’s prime venue for summer galas. And now it’s got a gala-ready Bond No. 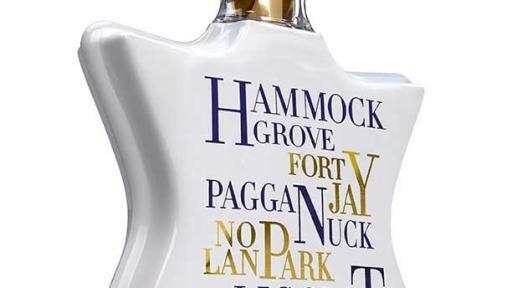 9 namesake eau de parfum it can call its own. When the Dutch explorers first encountered New York, they missed Manhattan by a matter of yards, landing instead on a hickory-, oak- and chestnut tree-laden offshore island. Soon enough, the local Lenape Indians ceded its 172 acres to the new settlers—marking the official start of the State of New York. And then the British took over, turning this little island into home base for its royal governors—which is how it got its name, Governors Island. Fast forward to the 21st century, with much of the island open to the public every May through October, offering incredibly unspoil’t pristine greenery just a 10-minute ferry ride from Wall Street. Oh, and you can’t overlook the jaw-dropping panoramic views of Manhattan. Governors Island today has not only become New York’s quickest canoeing, zip-lining, rock-climbing, and picnicking getaway, it’s also the scene of open air summer galas. Such as a Poetry Festival; a lavish Dîner en Blanc, where guests wear all white; a rosé-wine-themed Pinknic revelry, where attendees dress in pink and white; and the notorious Jazz Age Lawn Party, with guests in flapper attire sipping ‘20s cocktails, and dancing the Charleston. Of course, all these galas need to be scented. Bond No. 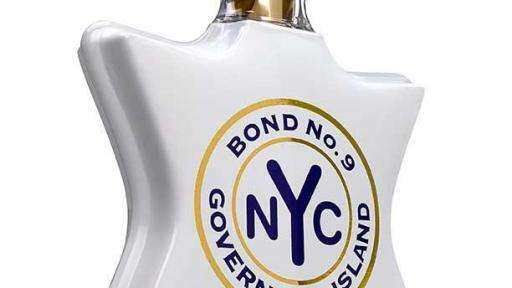 9 is on it, with its latest eau de parfum, Governors Island, arriving on counter June 1. Hypnotic, seductive, addictive, this incense-filled scent at first seems at odds with an island famed for its recreational activities—its bike paths, its picnics, its kite-flying potential. But at Bond No. 9, we welcome this off-kilter dissonance--which is one important direction for fragrances (as well as for fashion) today. 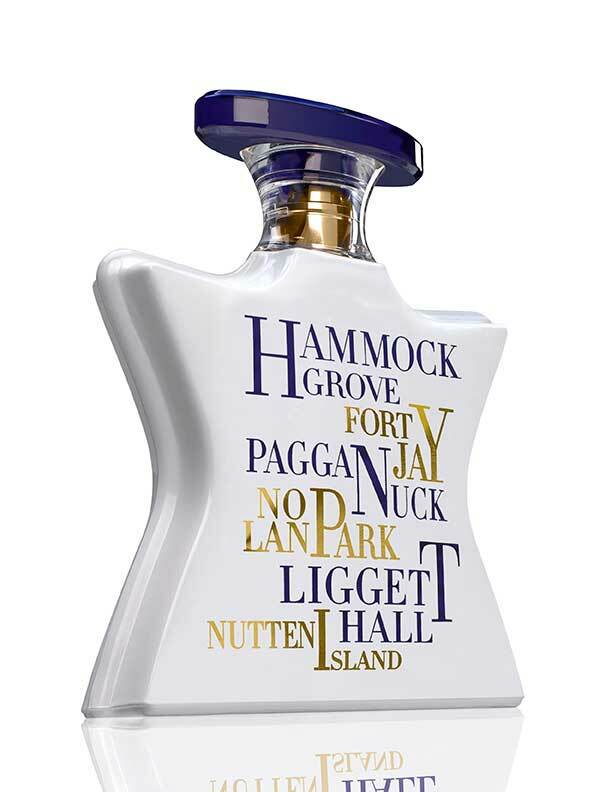 And besides, the deep, magical allure of Governors Island, the fragrance, actually invokes the smells of the island’s dense woodlands. All in all, it’s a rule-breaking symphony of tenacious forest notes—the kind that are typically used in drydowns. But here, they constitute the entire composition, starting with warm, concentrated resin incense. This soon segues into a heart of dark, honeyed ambrox (simulating ambergris) and dry, tobacco-like cedarwood, creating a halo-like glow. The base notes? Animal-like white musk, combined with muscenone (a booster musk), and a soft, feminine version of that crisp tropical grass, vetiver. While the sum total may at first present itself as a male fragrance, which men assuredly will love, we can guarantee—women will also adore this hypnotic brew and claim it as their own. 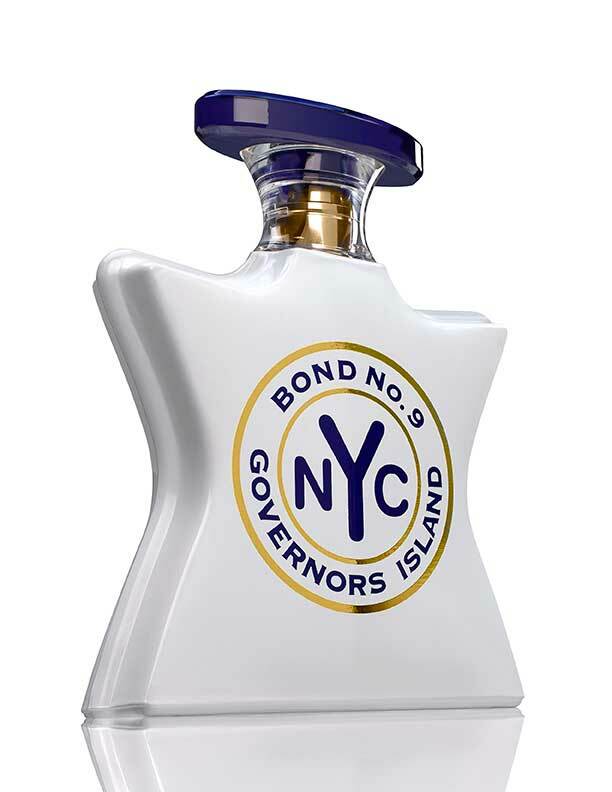 The seaworthy blue and gold visuals on the pure white Governors Island bottle are the Bond No. 9 token on one side, and on the other the printed names of must-see island venues—not least Hammock Grove, its red hammocks offering a superlative view of the Statue of Liberty.